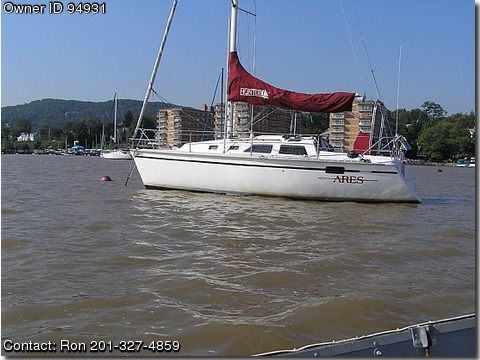 Call Boat Owner Ron 201-327-4859 201-953-2098. Basic Decription: FOR SALE 1991 HUNTER 28 “ARES” Clean, great layout with huge open v-berth, u-shaped main salon settee, gallery, navigation station, private head and only 750 hours on her immaculate Yanmar diesel. Wheel, 2003 Quantum mainsail, furlex roller furling headsail system, 2002 dodger and connecting bimini, lots of electronics, walk through transom. " complete description of all equipment will be sent upon request"